If you’re off to Antigua to properly unwind, clear your head and fully unravel those knots of stress that have appeared in your shoulders from months of trying to be a good person when you just want to throw a stapler at someone’s head, you’re going to the right place. On a relaxing holiday you must ensure there is sun, palm trees and cocktails (because it’s cheaper than therapy). 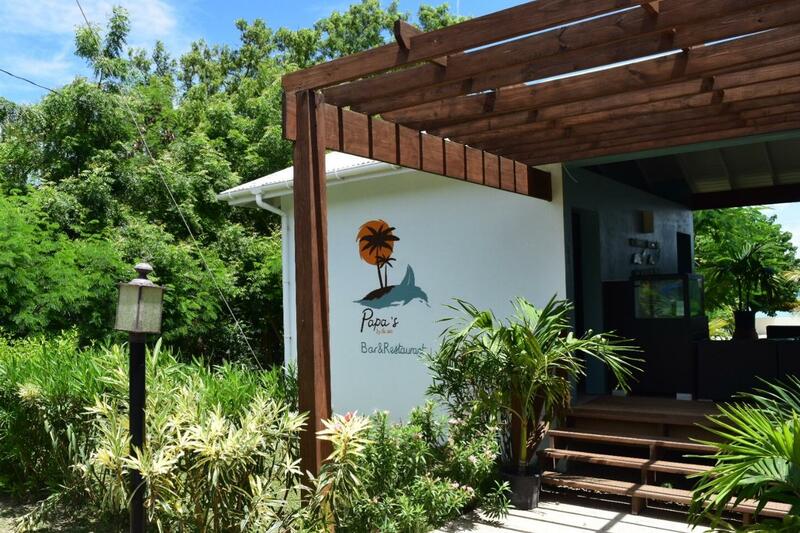 You can check out my two resort reviews from Antigua here Pineapple Beach Club and Verandah Resort and Spa otherwise keep on reading. Antigua is one of the nicest islands in the Caribbean and has sunshine and palm trees and beautiful beaches for days. It is the absolute perfect place to relax. But let’s be honest, if you’re going from a 60-hour working week to doing absolutely naff-all in the space of one 8-hour flight, you’re bound to get a bit twitchy and will need a few non-taxing things to do, to keep you amused. If you fancy seeing more than your sun lounger I recommend going on a few day or half-day trips to break up the time spent lolling on the beach. All the trips I talk about in this blog post are available to book easily at your hotel and are great for meeting locals, making friends and having a whale of a time. Maybe you’ll see an actual whale – you never know! They’re also all family-friendly and I’ll go more into the scuba diving, duty free shopping and carnival partying type of trips better suited to adults in my Part 2 blog post. The Bird Island tour departs from Long Beach in Long Bay which is just a short stroll from both Pineapple Beach Club and the Verandah Hotel and Spa. You’ll enjoy a half day experience of non-stop fun from 9am – 1pm. 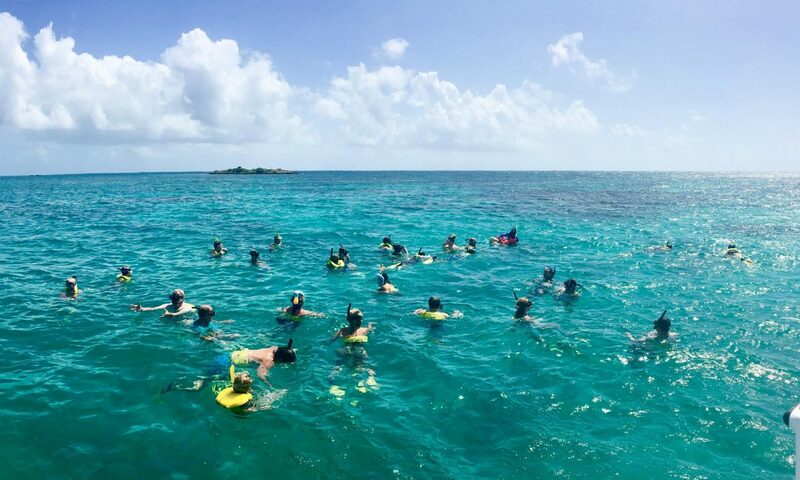 First off you’ll be stopping to snorkel amongst the coral and if you’re lucky like us you will see some sea turtles. This might not sound like the biggest deal but one of my life goals has always been to swim with turtles so I was open-mouthed with wonder (until I got water in my mouth) and haven’t stopped talking about it since. You then drop anchor at Bird Island where you can either hike to the top to see the views of Green Island and the many birds, or stay near the boat, chill in the sea and sip on a cocktail. Then it’s back on the boat for lunch and more cocktails and if you’re feeling adventurous you can jump off the boat and have a splash about in the sea. You finish your trip with an alternative dance lesson to a jazzy little song called one cent (think of it like the Antiguan Cha Cha Slide). If you can’t imagine what I’m talking about then just listen to it here, I dare you to not shimmy those hips! 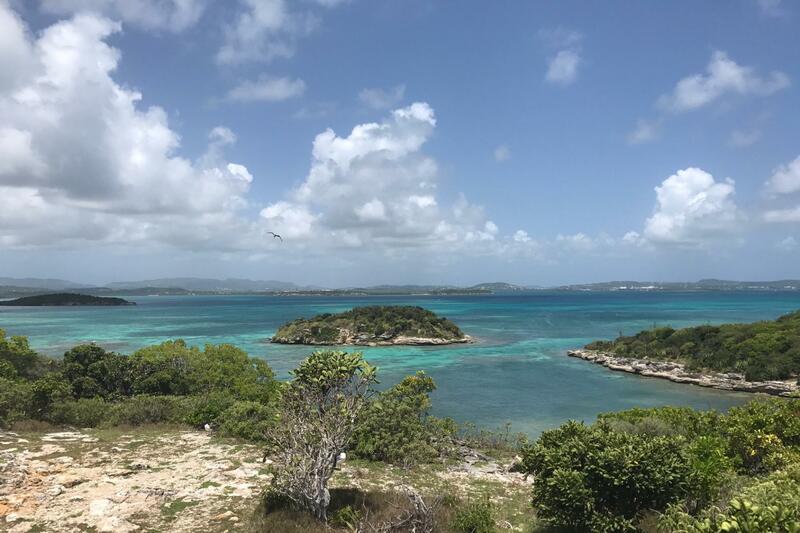 The Lookout, part of the Shirley Heights military complex, commands a breath-taking view over the whole of English Harbour with a backdrop of rolling hills and lush tropical rainforest. This is the highest ground above sea level on the island and where the Signal Station used to be used (flags used by day and guns by night) to convey messages to St, John’s. These days, Shirley Heights and The Lookout are well known for their Sunday Barbecue Party. Starting every Sunday at 4.00pm the pulsating rhythms of the steel band get going so you can get down to the groove as you watch as the setting sun slowly sinks below the horizon. 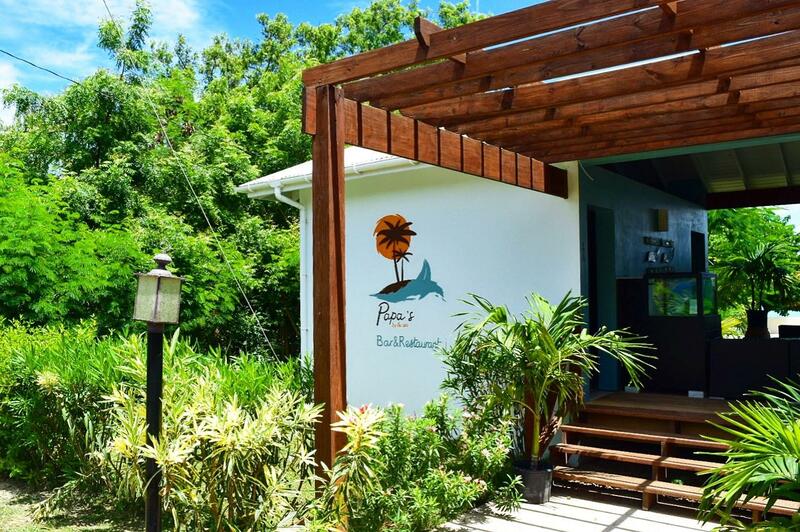 Rum punch in hand you watch the most dramatic sunset in Antigua then it’s time to feast on some delicious BBQ food. At 7.00pm the entertainment changes and some of the island’s finest party bands are featured until 10.00pm. This party is for locals and tourists alike and you can arrange an around car trip with your hotel to take you there and bring you back, sometimes with a few other guests from the same resort. If you want to let your hair down with the locals and party with less tourists, arrange to go a bit later in the evening. Antigua is an island that rewards explorers, so it’s worth getting off the beach to go and see what else is out there. Jump into a Barbie-esque 4×4 and take a jeep safari to the island’s most exciting and off-the-beaten-track locations on a Pink Panther Safari Jeep Tour. You will visit historical and nature sites of Antigua with an all-female (who are, without exception, completely sweet and brilliant and smiley) crew. Our tour was given by driver Joy and super bubbly tour guide Mikeela. Mikeela gave us the low down on the local sayings, popular food and drinks in Antigua, tips on what to get in duty free (English Harbour 5 year aged Antiguan rum), to what people get up to on a Friday night. Mikeela was so lovely she even let us go on a detour when we travelled through St John’s to go and pick up our tickets to the Blue Jeans Fete which are sold at the Levi store, what a babe! I’ll tell you more about the Blue Jeans Fete in my next post. 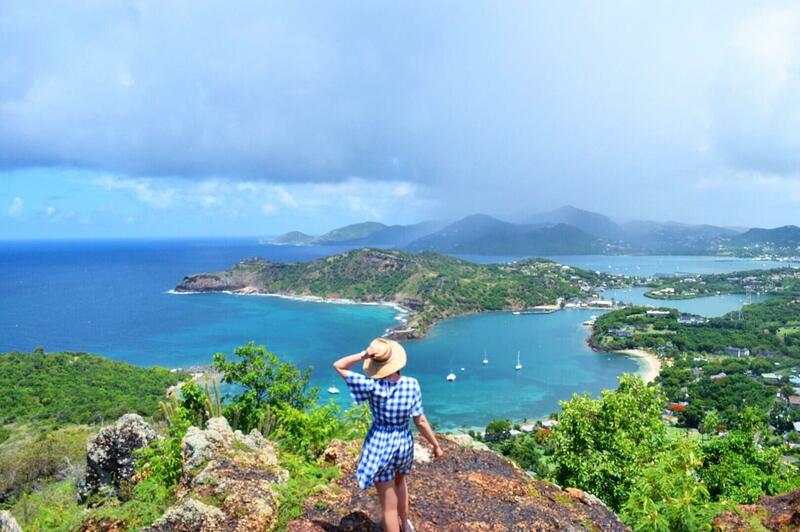 Take the day and discover Antigua! All the locations you visit are explained in more detail below but I absolutely recommend going on this tour. It stops at all the signs you will want to visit and works out much cheaper than getting a taxi to different destinations with the addition of meeting other guests on the trip and having fun with the crew. 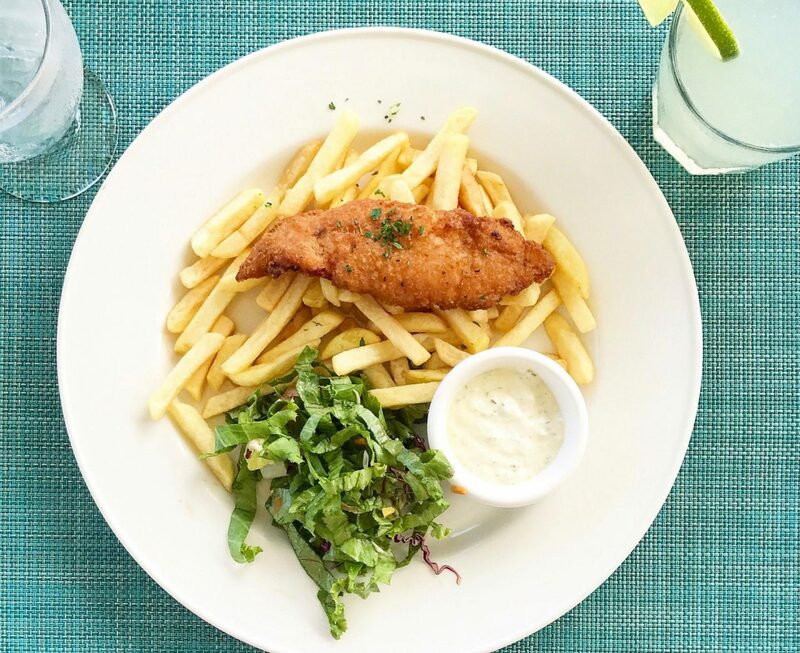 As well as seeing the sights you get lunch included, we had amazing fish and chips at Papa’s by The Sea in Falmouth Harbour. We also had complimentary rum punch, water and (not sure if everyone is so lucky) fresh coconut water bought right from the side of the road. 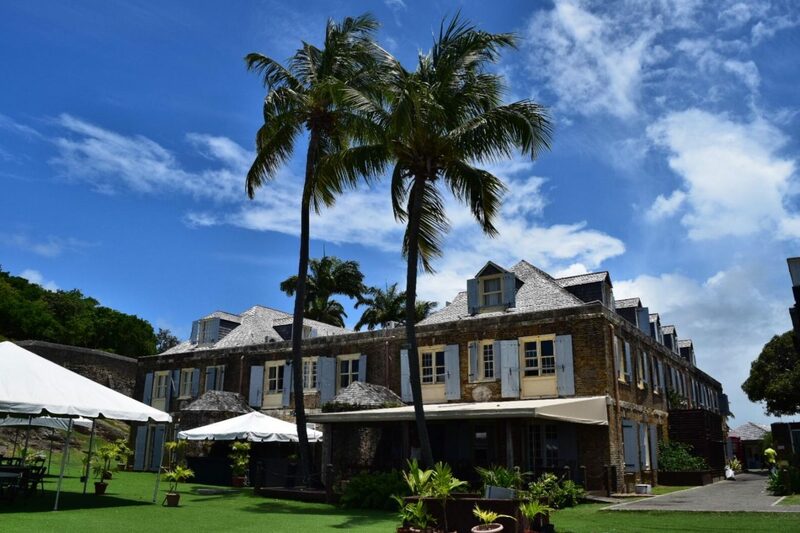 One of the first stops on the Pink Panther Safari Jeep Tour is Betty’s Hope, Antigua’s first major sugar plantation. It had its heyday in the 17th century but still produced sugar well into the 20th century. In 1990, restoration began and continues and the Bettys Hope Trust works with visiting schools of archaeology to complete research on the estate. 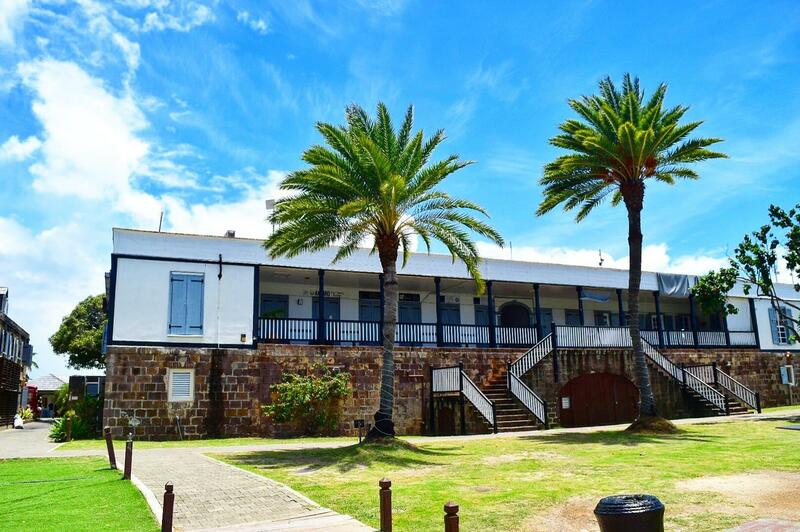 Today, it is home to an open-air museum with a small interpretation centre and for those interested in history, this heritage landmark is well worth a visit. Hundreds of people of African origin lived out their lives on this plantation either as slaves or as labourers (after their emancipation in 1834). Betty’s Hope played a prominent role in Antigua and Barbuda history and influenced the lives of many generations of Antiguans so I found it incredibly interesting to read all the information and look at the artefacts on show here. Another stop on the tour is in English Harbour, at Nelson’s Dockyard. 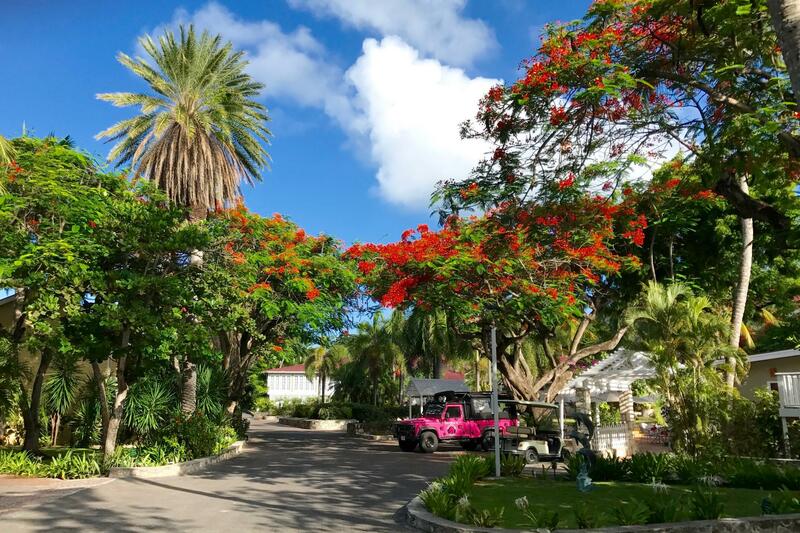 Pineapple Beach Club and Verandah Resort and Spa are both situated in the north east of the island however, the south coast hosts Antigua’s most impressive scene, Nelson’s Dockyard. 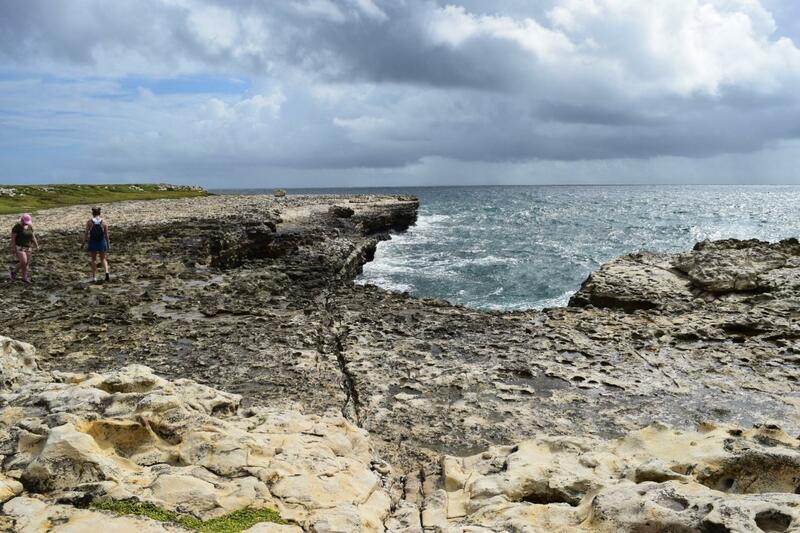 This is a national park centred on English Harbour, the setting for some of the most important historic monuments in the Caribbean. Nelson’s Dockyard is the world’s only continuous working Georgian dockyard and is still used today as a working dockyard for numerous yachts and ships. We meandered around the complex of well-preserved buildings from the 18th and 19th centuries, and learnt about their original purpose. Among the original buildings are two hotels, Admiral’s House – now the site of the Dockyard Museum, craft and food shops, restaurants, and a large marina. On the east coast of the island is the famous Devil’s Bridge, so called because a lot of slaves from the neighbouring estates use to go there and, sadly, meet a rather unfortunate end. The slaves went there thinking they could swim to safety and a new life but sadly, due to the dangerous rocks, it turned out everyone who attempted to jump off the bridge didn’t come out alive. Being superstitious, people use to say the Devil had to have been there to draw people to it and to their death, hence the name. 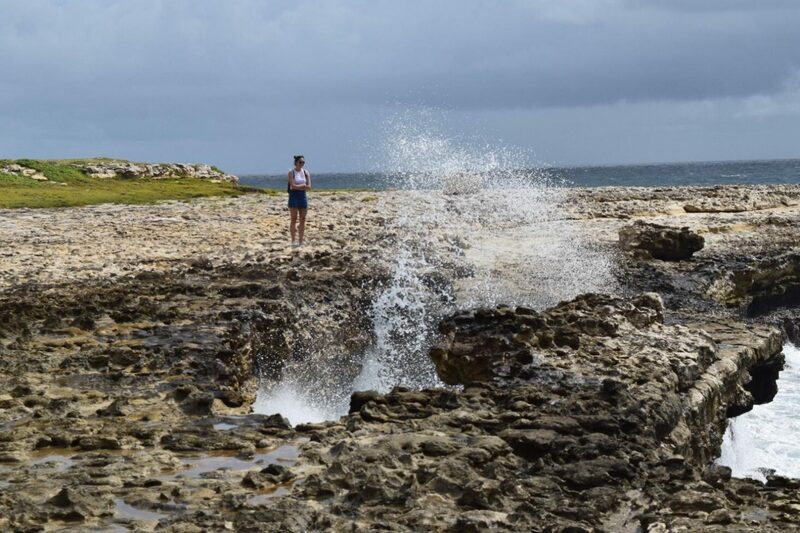 As the waters around Devil’s Bridge are always rough and anyone who fell in would be unlikely to survive I kept a safe old distance and left the investigations of the blow holes which spurt water up occasionally to Sophia. Call me a wuss if you will, but I know me, I am clumsy and can’t even keep hold of both shoes most of the time. Unless extreme activities have a safety harness or I am strapped to a more adult qualified adult then it’ s probably best to be a ‘no’ from me! Don’t panic, this trip is not a Steve Irwin situation. 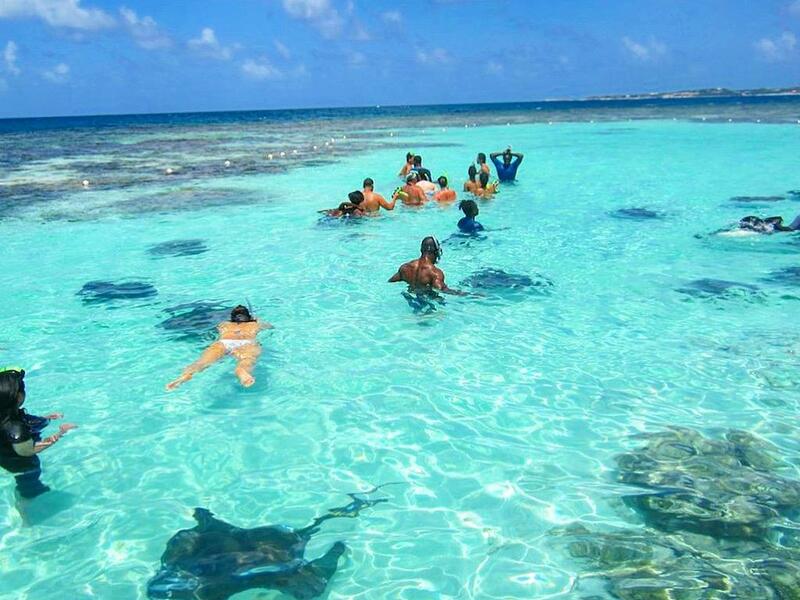 The Southern Rays are said to be the calmest in the Caribbean, very friendly and gentle. They’re also quite sassy, one slapped me on the bum! 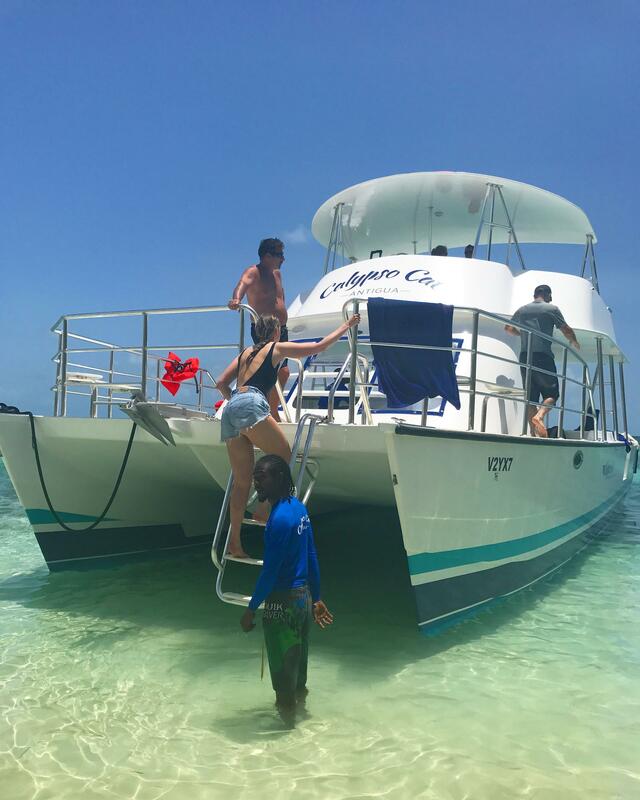 From the moment you step aboard your boat from Long Beach you’ll be greeted by a warm welcome from a friendly crew who will assist you in any way possible to make your Stingray City & Snorkel excursion the most exciting and fun tour of your vacation. 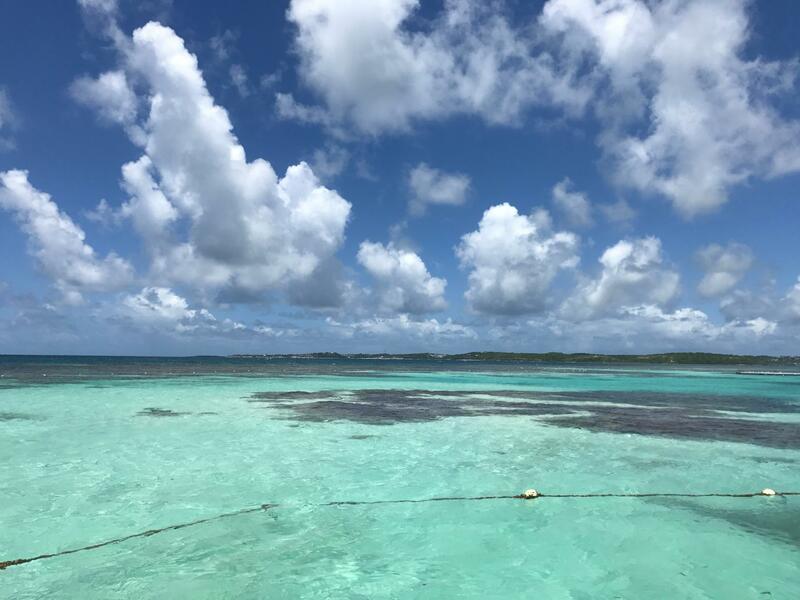 A short speedboat ride whisks you from Long Bay to a shallow pool in the middle of the sea with a white sand bottom surrounded by beautiful coral reef. 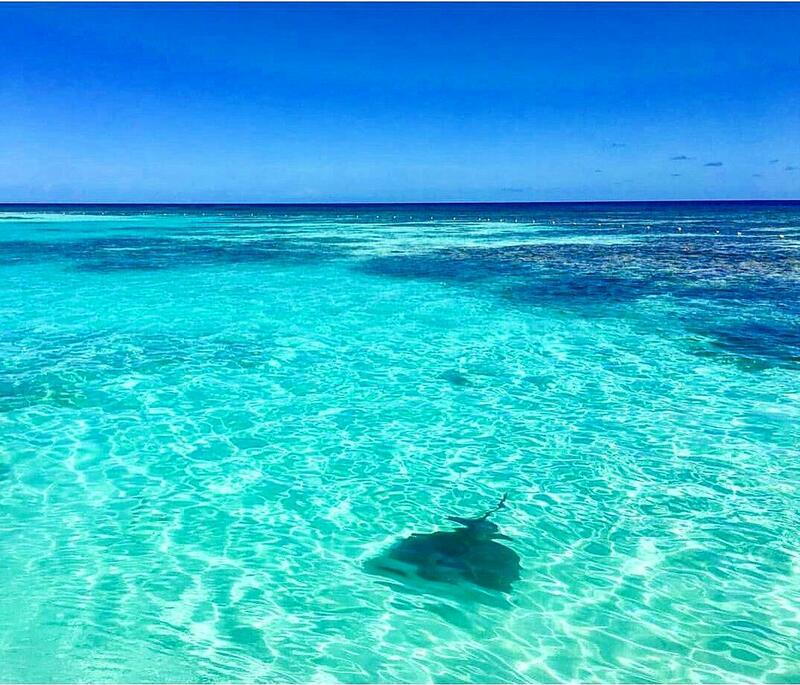 You may stand up or swim with the rays and the water isn’t deep at all, despite being way out to sea, so you can safely say hello to a ray without swimming in deep water. About 5 minutes into our boat ride and someone shouts ‘there’s a dolphin’ so our tour guide excitedly told everyone to take a look or get out their camera. After a few minutes, I was practically eye rolling. I mean come on, how many times has this happened on boat trips I’d been on when it turns out to be a piece of wood? But suddenly, a few metres from our little speed boat, bang, we came across 2 beautiful dolphins, mother and baby! I was so excited! Post dolphin excitement you’re given a quick lesson about stingrays, where their eyes and face are and how to behave around them. It’s very safe and they even teach you how to do the ‘stingray shuffle’ aka a flat-footed shuffle along the bottom of the sea rather than stamping around. It’s easy and you get used to it in a few minutes. As friendly and gentle as they are its best to stick to the shuffle so you don’t tread on them. 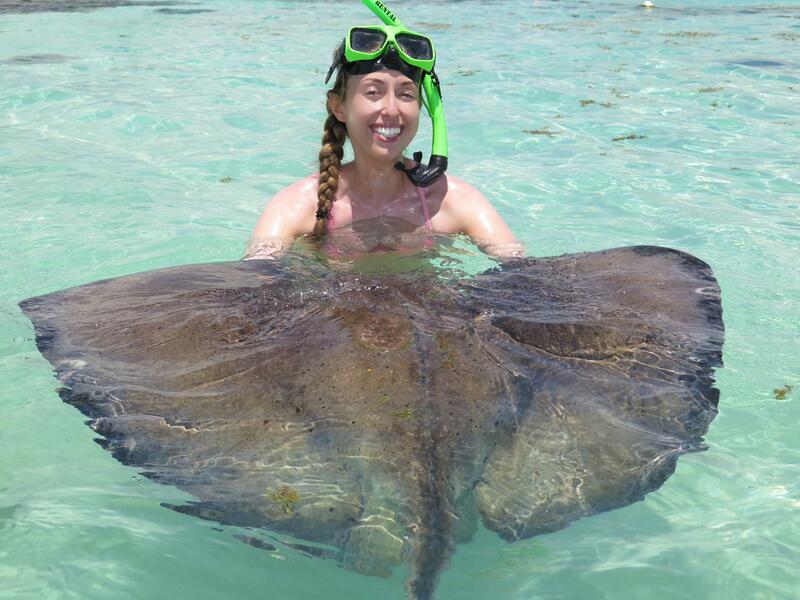 I’m not friendly if I get kicked in the head or trodden on, stingrays are unsurprisingly just the same! This unique experience of interacting and feeding a stingray, together with snorkelling amongst magnificent coral reefs and colourful tropical fish is absolutely amazing. You get to feed and hold the rays, take a picture, stroke them and just marvel at all the different sizes and colours. They are so velvety soft! I thought they would feel quite rubbery. They show you how to feed them squid and how to be safe around them and totally put you at ease. You then get taken to the Stingray City land base by boat to get a copy of your pics and enjoy a complimentary Rum or fruit Punch. Head to the guest services or tour booking desk at your hotel and they can sort your trip out for you easily.